Hi everyone! My name is Katie Pelant and I am currently a junior at Loyola University of Chicago studying marketing. I will be studying abroad at the John Felice Rome Center this upcoming fall and I could not be anymore excited! I decided to take the leap to study abroad because I would like to push myself out of my comfort zone, challenge myself, and learn about Rome and it's history. From this experience, I would like to gain a better understanding of the culture in Europe and adapt to Italy's daily rituals and customs that people there live by. This week at the Roman Guy, my boss assigned me several tasks that I had to complete by the end of the week. Some of these tasks were my usual assignments, like finding TripAdvisor reviews and posting them to our website, editing blogs using the blog life cycle rules, and posting three instagram pictures and two stories. However, since this was my last week working as an intern for the Roman Guy, I was also assigned some tasks that were very different. Instead of writing a Rome Key Attraction paper, I was assigned to write my own blog while following all of the rules that I learned this semester. There is so much more than what meets the eye about blog writing. When you write one, you have to follow about 15 different rules of the Blog Life Cycle. These rules range from what kind of title you chose, to the pictures you have, all the way down to how the grammar is composed. This was one of my challenges for this week, because although I learned all of the rules and worked with them throughout the semester, I found it hard to make your blog post still apply to them. For example, my blog could be about whatever I wanted it to be, so I chose to write about three different places in Italy that I went to while studying abroad and what my favorite memories were there. My coworkers loved this blog idea but it was hard to write since everything was in the past tense, which is a rule that the blog life cycle wants you to avoid. In order to make my blog pass all of the rules, I had to figure out how to edit my post and keep it in the past tense, but change some sentence structures in order for the blog to be completely green and good to post. Before starting my internship, I created three learning objectives that I wanted to achieve by the end of my internship. One of the learning objectives that I set for myself was to improve my writing. I believe that I definitely achieved this goal while working as an intern for the Roman Guy, because the majority of the tasks that I had to complete involved writing. This at first was another challenge of mine, because I was not that confident in myself and I thought that all of the tasks that I had to do that involved writing would not turn out well. I overcame this by becoming more confident in myself and my writing, and overall others have told me that I have improved significantly. So far, one of the most impressive things about my internship to date is my co workers and how well good they are at their job. They are some of the most creative people I know and they are always coming up with ideas that are outside of the box. Another thing that impresses me is how well my co workers work as a team together. They are all good friends, and yet they don’t let that get in the way of their work and they can all compose work with one another that is very professional. Overall, I am extremely happy that I decided to do this internship because it has helped me improve in many significant ways and it helped open my eyes up to what my future career could potentially look like. I am extremely blessed to have been able to work at The Roman Guy, and to have such amazing co workers that were constantly pushing me to do better and were so supportive of my decisions. I will forever remember and cherish the memories that I has working as an intern for this company. Thank you for reading about my journey working as an intern for the Roman Guy and ciao for now! This week at The Roman Guy, I finished writing and researching a post about Michelangelo’s the Pietà for our Vatican Tours. After my work is read and reviewed by my boss, it is later posted to our website in order to inform customers who are interested in taking a tour of the Vatican. I also found Tripadvisor reviews about our tours online and posted them to our website, so that customers are able to see other positive reviews about our service. Lastly, I interacted with followers and posted on my company’s instagram, The Roman Foodie, in order to increase followers and market the company. Previous classroom knowledge has been helping me because since the majority of my internship involves writing, some English courses that I took last semester are really coming in handy. Also specifics that I learned in my previous marketing classes has been helping me too, because a lot of the things that I do at my internship relate to what I learned about marketing in school. Before starting my internship, I created a learning objective that I wanted to achieve by the end of my internship. One of my learning objectives that I have been working towards completing is improving my writing skills regarding blog posts, various social media apps, and articles as well as having my boss critique my work when I am finished. I am reaching this objective because every week I am in charge of researching and writing an article on a famous tourist site in Rome, and afterwards my boss reviews and critiques my work in order to help me improve. Regarding challenges, I had something terrible happen to me that will affect my internship. In class, my iPhone was sitting on the edge of the table and when my professor walked past and bumped the table, my iPhone fell on the ground. At first it appeared fine because it did not have any cracks, but then I realized that the whole touch screen was broke and the screen wouldn’t stop flashing. This is crucial because I am in charge of running my company’s instagram, which I use my iPhone to do. Luckily my friends are amazing, as they are letting me use their phone to post for the company whenever I need to and continue to interact with followers in the mean time, so hopefully this accident won’t be too much of an inconvenience. So far, one of the most impressive things about my internship to date is my coworkers. They are really supportive of me being a leader and the decisions that I make, and whenever there is a problem they always completely understand and help me with whatever I need. They are the best and I always look forward to working with them. My expectations for the following weeks is that I am going to be researching and writing more about Rome key attractions, running The Roman Foodie instagram account, and I will also be taking over my companies Pinterest page and learning how to monitor our followers. So far I have been loving my internship and I cannot wait to see what the future has in store for me. Ciao for now and thanks for reading! When I first started this internship, to be honest I did not know what to expect. I’ll admit that I was really excited but also scared over the thought of having an internship in a foreign country. Upon visiting the office for the first time, I expected it to be a huge office with a lot of workers. This surprised me when I first arrived, because the office is pretty small with only about 30 employees. It also surprised me how young the majority of my coworkers are. When I had my first meeting with my bosses Lorna and Sian, they told me that for my internship I would be doing a lot of research on different tourist destinations in Rome and a lot of writing. My internship so far has been filling this expectation, because every week I am given an assignment to finish a blog post about a tourist attraction. For example, this week I had the assignment of the Sistine Chapel at the Vatican. I spent one of my work days researching the history of the chapel, the artists who painted there, their artwork, and specific rules the chapel has upon visiting. After gathering all of this information, I then have to write a blog post about it and send it to my other boss Francesca when i’m finished for revision. She then looks it over and asks me to change anything if it needs it, and then she sends it over to the graphic design team who then publishes my post to the company’s website. I also expected this internship to be strengthening my marketing skills, and so far having this internship has been filling that expectation. Part of my job is to run the companies instagram, and this previous week I had to read different articles on how to appeal more to your audience and gain more followers. From this, I began to create more aesthetically pleasing posts which helped target a specific audience and ultimately helped us gain more followers. So far, the most interesting part of my internship is when I create different tourism attraction posts for our company’s website. It is interesting to me because I am improving my writing skills drastically and also it is interesting to keep learning new things about different attractions in Rome that I never knew before. It is also awesome to see my finished blog post on our company’s website because it makes me proud of my work. So far, one of the tasks that I have to do that I find the least interesting is editing blog posts using the blog life cycle. For each blog post, there is a checklist that our company has to follow to make sure that the blog has each aspect in order to make a strong post. This is my least favorite task because it usually takes a while to change a specific blog post because some are harder to edit than other ones. Also, it can be frustrating when you have done everything that you thought you could have to make a blog better but WordPress says that the post is not good and still needs more editing. So far, this academic internship has been improving my understanding of concepts that I learned from other marketing courses in college, but in a different way. In my internship, we use aspects like having a target audience and using general marketing tactics to make our company more well known. It is different in a sense because most of my marketing courses focused on marketing a huge corporation or a product, and this internship focuses on marketing our brand as well as a photo, event, or a blog post. Some personal learning goals that I have for this internship are to expand my marketing skills, strengthen my writing, and improve my creativity. So far, I have been achieving my goal of expanding my marketing skills and strengthening my writing, but at this point in my internship I am focusing on being more creative with our content and being more independent with my work. So far, that is my complete reflection about my internship and so far I am really enjoying it. I can’t wait to see what the future holds and how I will change as a person once this internship is completed. Thanks for reading and ciao amici! This week at the Roman Guy, I have completed several tasks that were fairly similar to my tasks from last week. 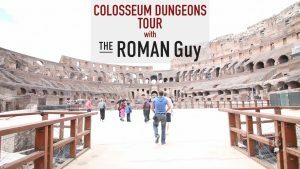 I found reviews online about our tours and posted them to the company’s website, I researched and wrote two articles on the Colosseum arena floor and the third tier, I edited and revised five different blog articles using the rules of the blog lifecycle, and I interacted and posted on our instagram page called The Roman Foodie. Previous classroom knowledge has been helping me a lot with my internship because my job is very writing intensive, so my english classes that I have recently completed have been very useful. One of my learning objectives that I have is to improve my writing skills for blog posts, various social media apps, and articles by following the blog life cycle. I have been working to fully achieve this objective because the past weeks that I have been here I have been focusing on writing and following the blog life cycle. I see myself improving significantly, because the first couple of weeks I could only get a couple of posts done and now I can get a couple of them done in a day. Some challenges that I have been facing recently regarding my internship is balancing work and school with one another. It is midterm week, so I have been very busy with school and tests but on top of that I have to work as well. This week was hard because I stayed up pretty late after working in order to get school work done and it left me exhausted. For the future, I am going to try to get the majority of my school work and studying done on the weekends so that the school week isn’t as stressful. Something that has been impressing me a lot recently about my internship is how organized and professional the office is. All of the workers here are really good friends with one another, yet they still manage to get a lot of work done, be professional, and not let their friendships get in the way of their work. My expectations for the following weeks is that I am going to keep working on writing Rome’s key attraction pages. I am also expected to keep interacting and gain more followers on the Roman Foodie’s instagram. After fall break, I am going to be learning and taking over our The Roman Guys pinterest and posting on there. So far I love my internship and I cannot wait to see what the future holds. Arrivederci! This week at The Roman Guy, I had several tasks that I needed to complete. Some of the tasks that I completed include finding TripAdvisor reviews and posting them to our website, editing three different blog posts using the blog lifecycle rules, posting two pictures on our instagram page (The Roman Foodie) and interacting with followers, and writing an article about the Colosseum Arena Floor for our website. Classroom knowledge has helped me significantly so far, because I have been using a lot of the skills that I previously had been taught in my marketing classes for my internship. As an intern, I was required to create several learning objectives that I want to achieve by the end of the semester. One of my learning objectives is to improve my writing skills for blog posts, various social media apps, and articles by following the blog life cycle at The Roman Guy. I have been working to achieve this learning objective a lot recently, because these past couple of weeks all of my tasks have had me very involved in writing which is ultimately helping me improve my writing skills. There is a lot more than what meets the eye about blogging, and now I am finally getting used to how the structure is for specific writings that I have to complete as well as strengthening my writing skills in general. Some problems that I have been having recently regarding my internship is transportation and being late because of class. There were two different times in the past two weeks where I didn’t get to work on time, because I had an onsite class and it went a lot longer than expected. Also transportation here isn’t that reliable. One day I had to wait three different times for the 990 bus because it was so packed and other times the regional train was delayed 10 minutes which caused me to be even more late. Im resolving this for the future by making sure that I leave extra early so that I can guarantee that I will be on time. Something that has been impressing me so far about my internship is the graphic design team. They work very long hours and the teamwork that they have with one another is outstanding. Everytime I go to our company’s website, there is always something new added and it looks fantastic! Some of my expectations for the following weeks include interacting and gaining more followers on the company’s instagram page, working on editing more blog lifecycle pages, writing more articles about different key attractions in Rome, and creating/researching my own blog post for my company’s page. So far I have been loving my internship and I can’t wait to see what the future has in store for me. Arrivederci! Ciao! This semester in Rome, I was fortunate enough to get hired as a marketing intern for a company called The Roman Guy. The Roman Guy specializes in various VIP tours of different tourist attractions all around Rome, as well as several local food tours in different areas. As an assignment for my class ROST 370, I am required to reflect on my experience of working as an intern for this company. Working as a marketing intern for The Roman Guy is an interesting job because all of my assigned tasks frequently change and I am never stuck doing the same thing. For my first week, my job has been very writing intensive as I have been working on creating and editing blogs, writing an article about the Colosseum for our Rome Key Attractions Page, and posting on our company’s food instagram (The Roman Foodie). So far, classroom knowledge has helped me a lot because I am able to use an abundance of information that I learned about marketing from taking the class this previous spring semester and apply it to what I am working on at my internship in order to help market our content better. As an intern, I was required to create several learning objectives that I want to achieve by the end of the semester. One of my biggest learning objectives was to improve my writing skills for blog posts and various social media apps, and have the whole marketing department critique my work for improvements. Little did I know that my first week on the job I would already be making progress towards my learning objective. I am not the most confident when it comes to my writing, but I am happy that my internship had my beginning tasks be writing intensive because then that way I can have more time to improve on this skill throughout the semester. There is a lot more to blogging than what meets the eye. At our company, we have a checklist called The Blog Lifecycle where there are about 15 different extensive tasks that need to be completed in order to have a successful blog post. My first day on the job, I learned all about the cycle and this is what I am using as my guideline in order to improve my writing skills and create a successful blog post which will ultimately help me make progress towards my learning objective. Some problems that I have had involving my internship is writing for an extensive period of time. Sometime I have to be writing the entire time I am working which can be around five hours. At first it was hard for me to stay focused, but now I am getting used to writing for a long period of time and also finding out about the free espresso machine in our office made everything a lot easier. Another one of my challenges is using public transportation to get to my work. During my first week, I learned how to correctly use the regional train the hard way as I accidently got on the wrong train and it took me about 25 minutes outside of Balduina. This was scary, because I had no idea where I was and it was getting pretty late at night. When I asked several people for help, they ignored me or told me that they didn’t know how to help me. Luckily, I found this one extremely generous lady who helped me get on the right train and she even taught me how to correctly use the Rome transportation system so that I would never make the same mistake again. Now I always leave a bit earlier so that I can make sure that I have enough time to get to where I need to in order to prevent getting on the wrong train from happening again. So far, the most impressive thing about my internship is all of my coworkers, as they are all extremely talented and good at their jobs. 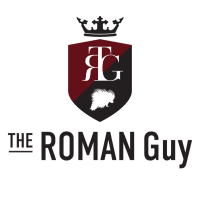 The Roman Guy is an extremely small company that is very successful, so it is amazing to see how the whole staff works together to create great content and get more customers. I am very lucky to be working in the marketing department with my coworkers Lorna, Sian, and Francesca, because they all very experienced in the marketing field and they all inspire me in many ways. It is only the first week and I already have learned many new things from them that I can apply to my future career. In the future, I am expected to keep improve my writing skills as I have to create about 10 blog posts total for our company’s Key Attraction Page. I expect this to be very difficult, because each post needs to be thought out and edited carefully. It also takes a long period of time to create just one post, so I am ready for this challenge that I will be facing in the future. I am so excited for the future and to see how my internship will help me grow as an individual, and I will keep posting updates on my work. Arrivederci!